There is one thing that greets us with open arms every spring―a cherry blossom tree. When the colors in leaves start to change, and they begin to fill the street with a beautiful pink shade, people suddenly get all excited and rush outside to take pictures with their loved ones. The main reason people make such a big fuss about this one particular type of tree every year is that it has a sentimental value which reminds everyone of their old days and good times. Some might have used it as an excuse to ask a boy out, and others might have utilized it as an opportunity to strengthen their friendship. For this reason, whenever people see a product that has cherry blossoms on it or a thing that reminds them of their favorite tree, they simply cannot keep their eyes off of it. But no matter how big their love for cherry blossom is, there are not a lot of people who dye their hair as the exact same color as their favorite tree since baby pink is not a color that everyone can pull off. 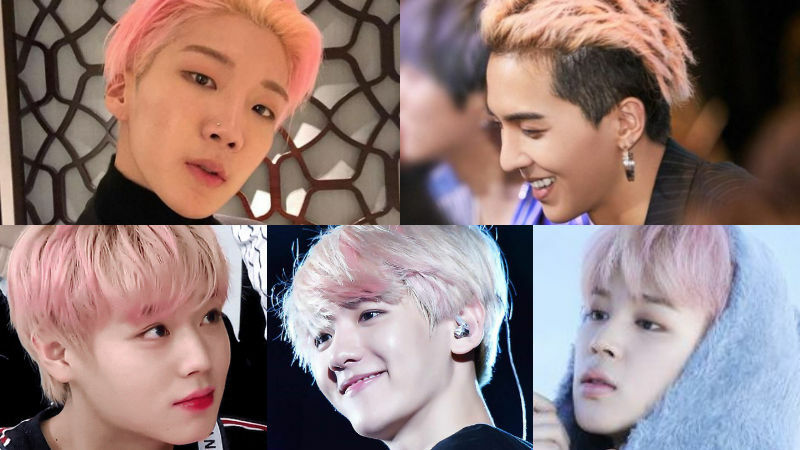 However, these five celebrities earned the title, 'Human Cherry Blossom' after dying their hair pink since the color looked absolutely gorgeous on them. Let's take a look at these five K-pop boy group members who impeccably pulled off a unique hair color!